Back in 2017, the project “Business Generator” from Sweden, won the EEPA Category “Investing in entrepreneurial skills” for their work in identifying the gap in the strategic management process for SME companies, as well as a way to reach SMEs and provide them with useful skills for their daily lives as entrepreneurs. 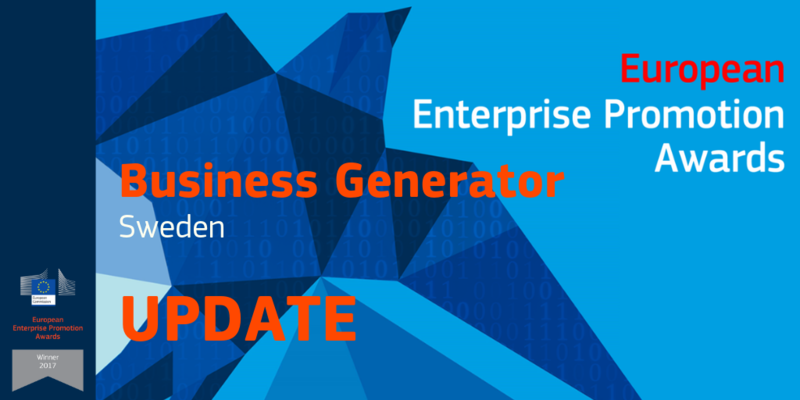 After initial struggles to keep the Business Generator going after the EEPA competition, this project, and specifically coordinator Anette Rhudin, are back with a brand new and improved ‘Navigator Scale-up’. The Navigator serves as a support for SMEs that need to have a board under Swedish law. Due to financial constraints it is normally a challenge for SMEs and entrepreneurs to have an external board not made up of family and friends, and thus miss the chance, to have that input, that the right matched, external competence can give. Having a competent board can help avoid bankruptcy, develop necessary company procedures and aid in the overall management of the SME. Through the Navigator SMEs can be matched with externals that serve as a board or ‘navigators’, without taking away control from the SME. The Navigator is a particularly good option for SMEs looking to scale up, as the externals are there to coach, ask critical questions and offer guidance based on their extensive experience. Through their experience, external board members are able to make SMEs aware of ‘hazards’ and guide them so as to avoid expensive failures. Positive changes can only happen in a safe environment, which is why a Navigator’s primary task is help the entrepreneur navigate a changeable environment and give them enough control to feel safe and be able to scale up their company. One of the crucial success factors in the Business Generator project was that the four external navigator members had all gone on their own scalable business journeys. Being able to understand the current entrepreneur’s experience enables externals to truly coach and give the best advice to the SME they are assisting. The Navigator has already been helping several SMEs, specifically OptiPack, an SME in a typical small Swedish village which started last year. Optipack began with four young people who had no experience of owning a company and who required a bank loan to get started. In order to qualify for a loan they needed an external board with experienced members, which is where Business Navigator came in to help. After being assigned a Navigator team they began to advance, thanks to the collective experience of their external board members who between them are experienced businesspeople and own large international companies. Thanks to help from their Navigator, Optipack were able to invest EUR 2 428 882 in their latest product and continue working and developing. Optipak are a successful example of what a Navigator can do for an SME, and we hope to keep coming back with more success stories as the Business Navigator gets bigger and spreads its message, support and advocacy for SMEs.